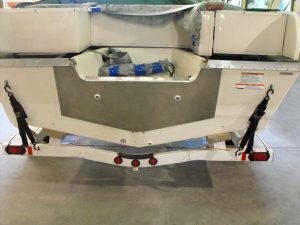 Trilite by [OPTI] were contacted by Johns Marina to help with designing and implementing an aluminum plate onto the back of their boat to hold the transom together. A very big outboard motor was previously fitted to the boat and it broke the wooden fiberglass transfom. 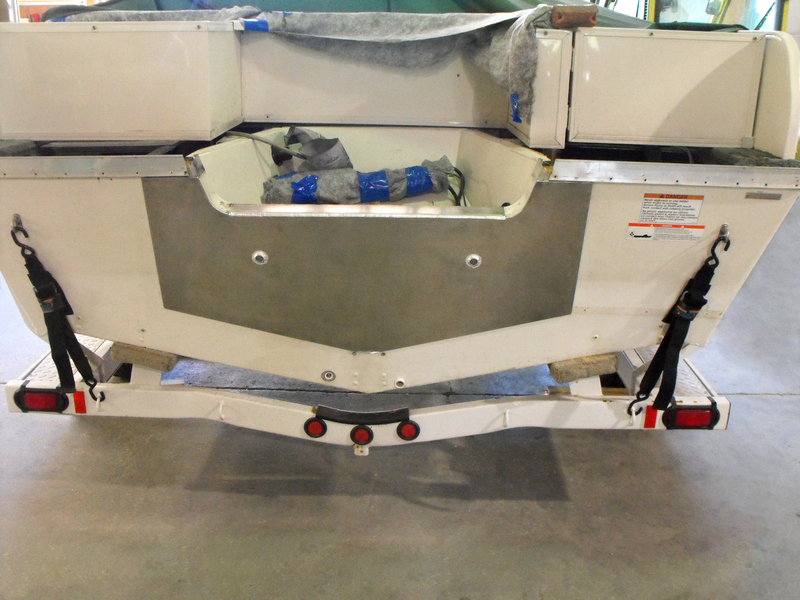 Trilite by [OPTI] fitted a reinforced plate including drainage holes by welding the product to the boat.